Red Pepper Quilts: Alice Caroline - A Liberty Fabric Giveaway! 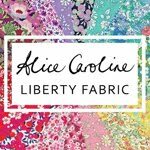 Alice Caroline - A Liberty Fabric Giveaway! Alice Caroline specializes in selecting fabrics from the main Liberty of London collection, the world's most desirable fabrics with a unique heritage dating back over 100 years, and putting the right designs and colors together to form their own unique brand. These are packaged together to give customers a wonderful choice of colors for their sewing projects. 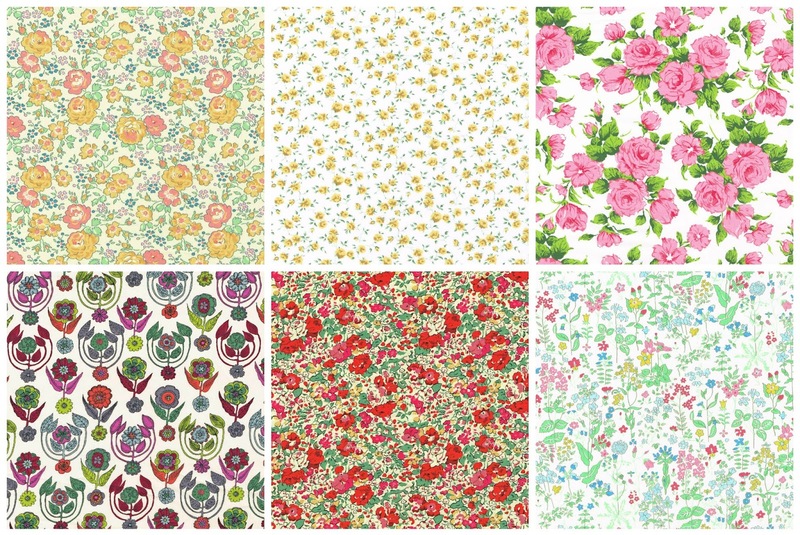 The classic Liberty Tana Lawn collection including the most recent seasonal collections ~ over 450 different Liberty fabrics to choose from and the selection is ever growing. Alice Caroline is based in the UK and ships internationally. Liberty Tana Lawn - Carline: 1950s vintage design with red and pink roses. Alice Caroline is delighted to announce the launch of a brand new Liberty Collection – Classics Revival. 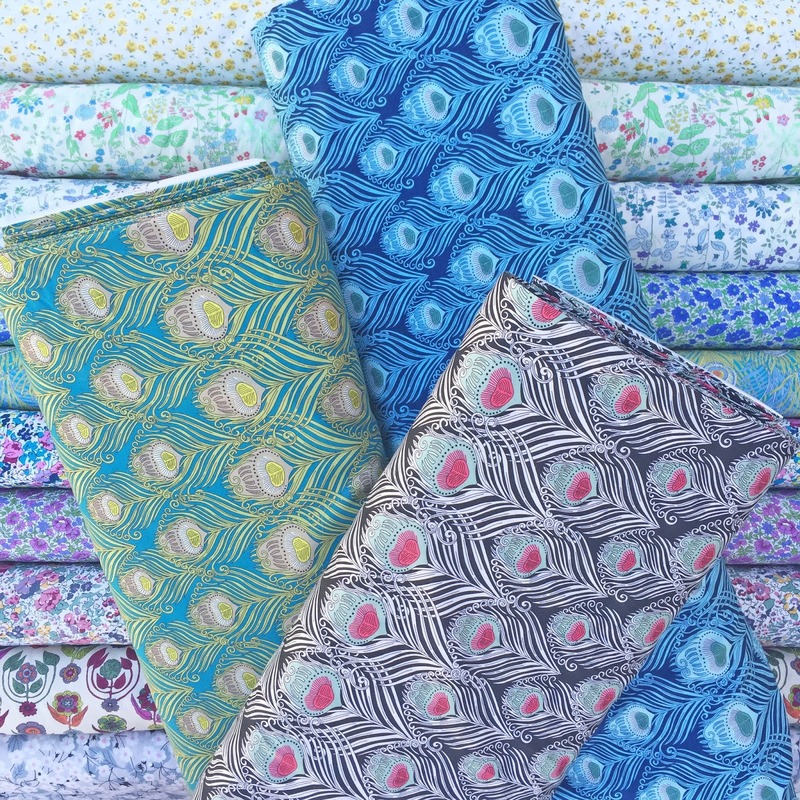 The beautiful new collection of classic and vintage Liberty prints has been taken from the Liberty archives and is now available on the Alice Caroline website. Liberty have selected some of the most popular and gorgeous vintage prints from deep within the Liberty archives for this new collection, and re-released those prints in the most popular colorways for people like you who love dressmaking, sewing and quilting and have nostalgic memories of childhood dresses from the past. which takes a fresh look at the classic peacock feather. Alice Caroline Garrett, said “The Liberty classics are some of the best that they produce. They have re-released some wonderful prints in this collection. 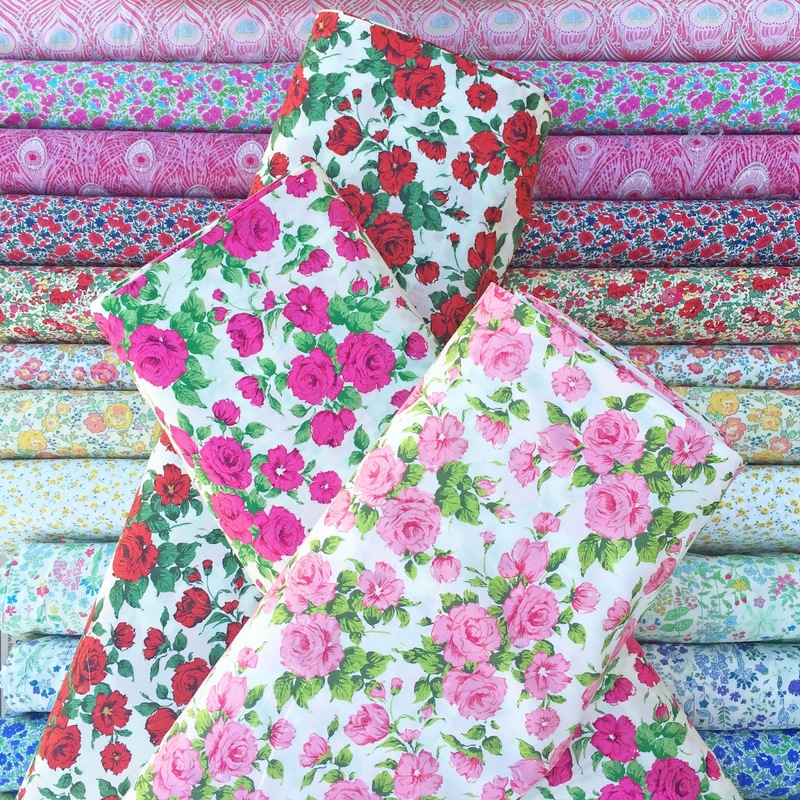 I have put the colors and prints together to form some beautiful fat quarter packs.” Agreed! 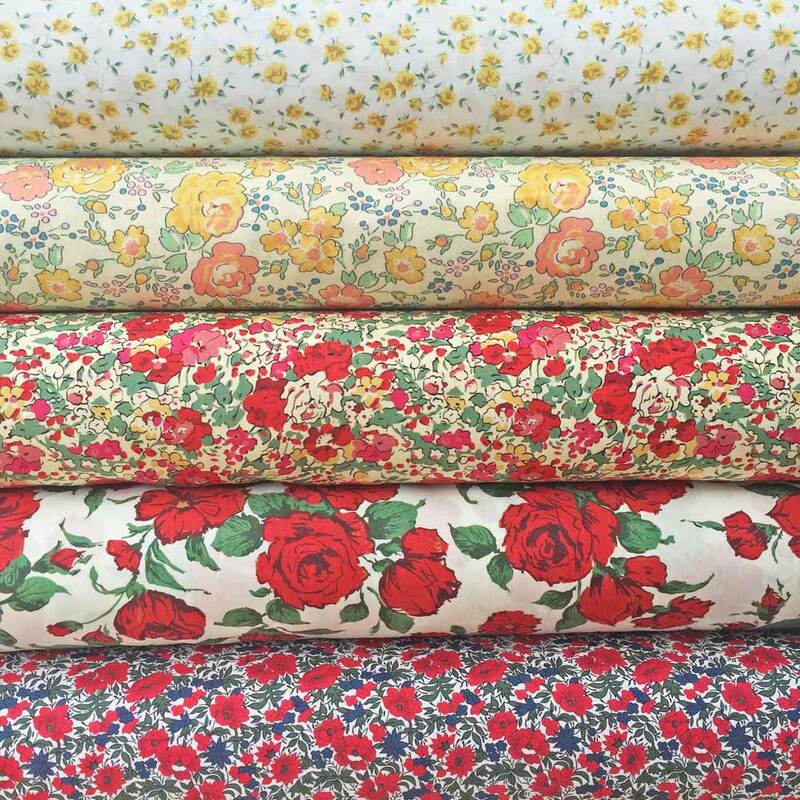 The classic rose prints in particular are stunning and I look forward to adding some of these to stash and work them into my quilts. On a separate note Alice Caroline is excited to launch a new project to bring quilts to those who need them most. 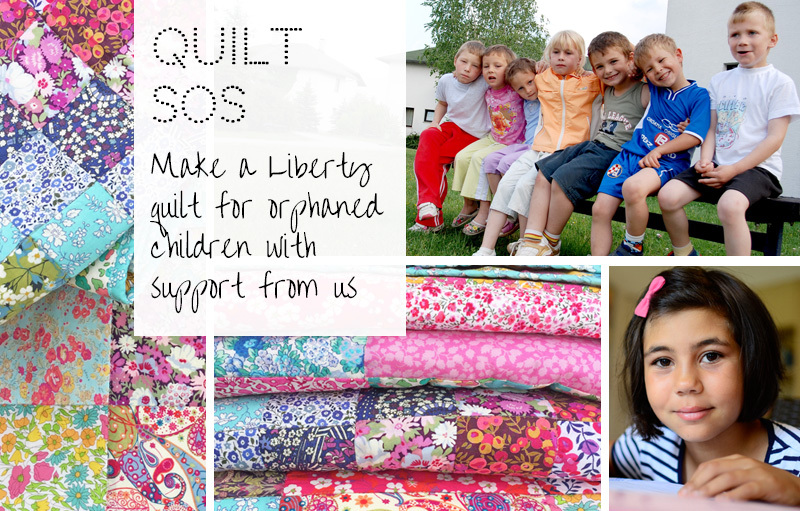 Make a Liberty quilt for orphaned children with support from Alice Caroline. The goal is to provide quilts to orphaned children living within an SOS Children’s Village in Romania. A selection of these quilts will be displayed in the Liberty of London store before delivery to the village. OPTION 1: Purchase one of our SOS quilt packs, make the quilt and receive a £65 voucher to use on our website. OPTION 2: Use your own Liberty stash, make the quilt and receive a £30 voucher to use on our website. Only Liberty fabrics, or Liberty fabrics mixed with up to 50% plains may be used. All the QUILT SOS details are here. The draw will take place at 11am (Australia EDT) on Saturday 13 August 2016, at which time comments to this post will be closed. The winners will be announced by edit to this blog post, and will also be contacted by email. Jane has been contacted by email. COPYRIGHT and DISCLOSURE: All images used in this blog post have been provided by Alice Caroline and are used with permission.